The project scope was to relocate Diamond Power’s existing factory in Dumbarton into industrial units within the Vale of Leven Industrial Estate. 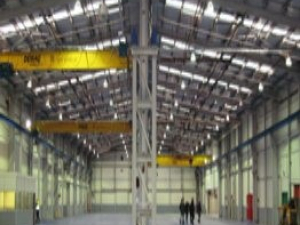 The existing unit was completely refurbished and extended to provide new paint shops, a new high bay extension, new materials store, new internal office accommodation all external works. The project was successfully completed within the clients 9 month timeframe.